Equipped with an AG AntiGravityâ„¢ 3D suspended mesh backsystem inspired from our award-winning Atmos/Aura AG series, the Poco AG Premium now offers higher levels of comfort and ventilation than ever before. Equipped with an AG AntiGravityâ„¢ 3D suspended mesh backsystem inspired from our award-winning Atmos/Aura AG series, the Poco AG Premium now offers higher levels of comfort and ventilation than ever before. 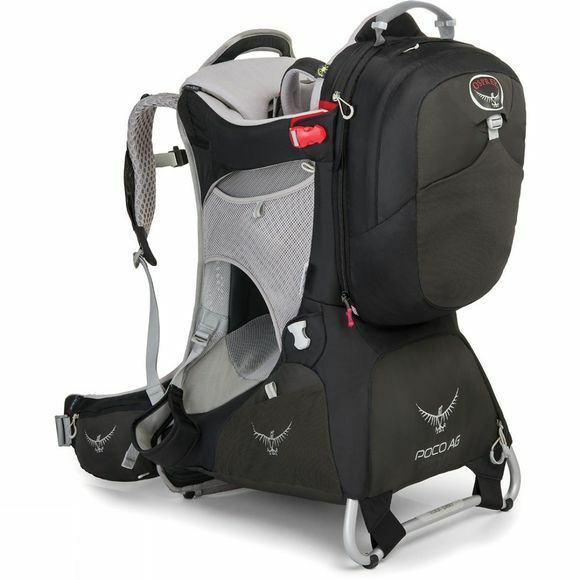 The adjustable backsystem features a Fit-on-the-Flyâ„¢ adjustable hipbelt and adjustable torso length for when switching the child carrier backpack from mum to dad. 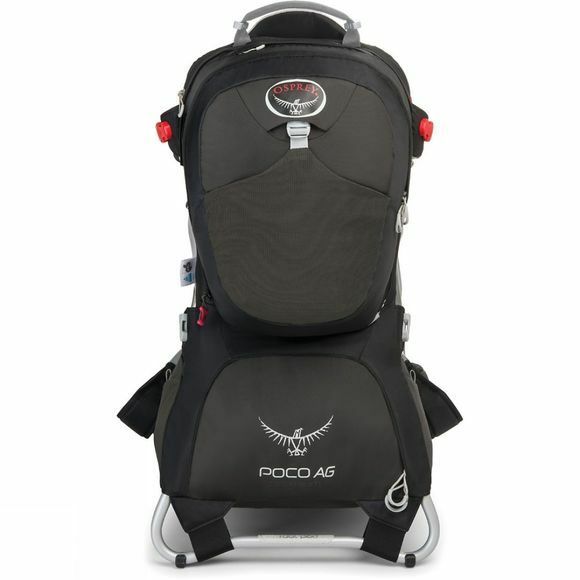 The child safety harness, seat and foot stirrups are also adjustable to fit a wide range of child sizes, shapes and weights.Child safety is at the forefront of the design and this product has the TÃœV GS safety certification to prove it.The Poco backpack has easy-to-access on the go mesh side pockets and zipped hipbelt and shoulder harness pockets. The main zipped compartment beneath the child seat stores your bulk supplies and the Poco Premium has a removable 11L daypack. The Poco also features a rapid deploy Sun-Shade, with an S.P.F. 50+ UV rating, which protects your little cargo from harmful sun rays, making the perfect shaded spot for an afternoon nap. This features also includes the integrated raincover to protect your little one from heavy rainfall. The Poco is also easy to fold away and store for when youâ€™ve enjoyed your family day out and are ready to pack up and go.